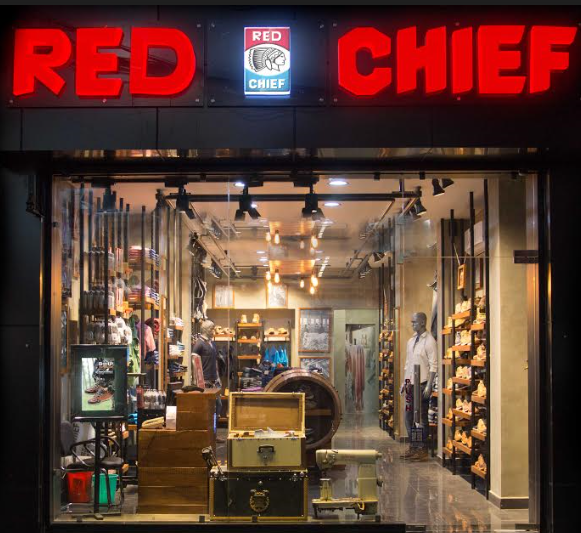 The re-vamped store of Red Chief in Nasimabad, Kanpur is a sight to behold. Located at the heart of the speared with an astounding 518 sq ft of display area and 200 sq ft of stock area, the amazing interiors are enough to win anyone over to at least step into the store. Once inside, the fabulous products do the talking for themselves, it’s not possible to walk out without buying something or the other. The product assembling and organization are done in such a unique way that you can’t tear your eyes away from them. The store area is divided into 10 segments internally which include categorized sections of footwear, apparels and accessories. The best part is that you won’t have trouble looking for stuff as the arrangement of the products is done according to the sizes, making the shopping experience that much easier. The whole idea behind revamping the store is to give a refreshing look to their patrons. The essence of the originality of leather and the Red Chief brand story is portrayed very nicely. The new arrangement and store interior is very customer friendly with ease in accessibility to different products for better mixing and matching. 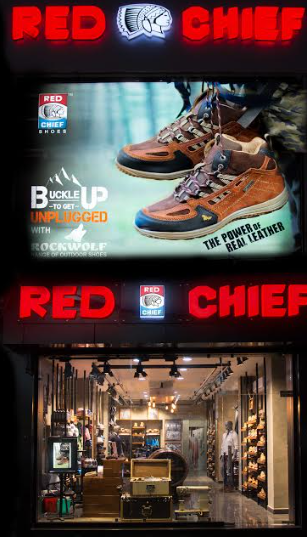 Mr. Raman Kumar ( VP – Retail | Red Chief) adds- The footwear section is further divided into formal, outdoor(Rockwolf) , Casuals, powerflex and Eco-energy, to make it more convenient for the customer to try and compare similar products. The revamp will definitely upgrade their brand positioning among other industry players in the market. Red Chief is an extremely well renowned brand of India, they have captured tier-2 & 3 cities very strongly. In Kanpur alone, it has 5 more stores but since this is one of the oldest stores, the refurbishing has given it an entirely new feel and look.